14MP million pixel photo Full HD 1080P 60FPS display output,HDMI USB Digital Industry Video C-mount Microscope Camera Set TF Card Video Recorder, video support 1080P (30 FPS) video recording. 2, this product has 14 million pixel photography and 1080P video recording using mode key cycle switching. Among them, the Mode key is the mode switch, the default is the photo mode, one is adjusted to the video, and the other is preview mode. 3, the product provides 8 times the digital zoom; the up or down keys can be digitally amplified or reduced, and the length is rapidly enlarged or reduced, and the short press can be enlarged or reduced locally. 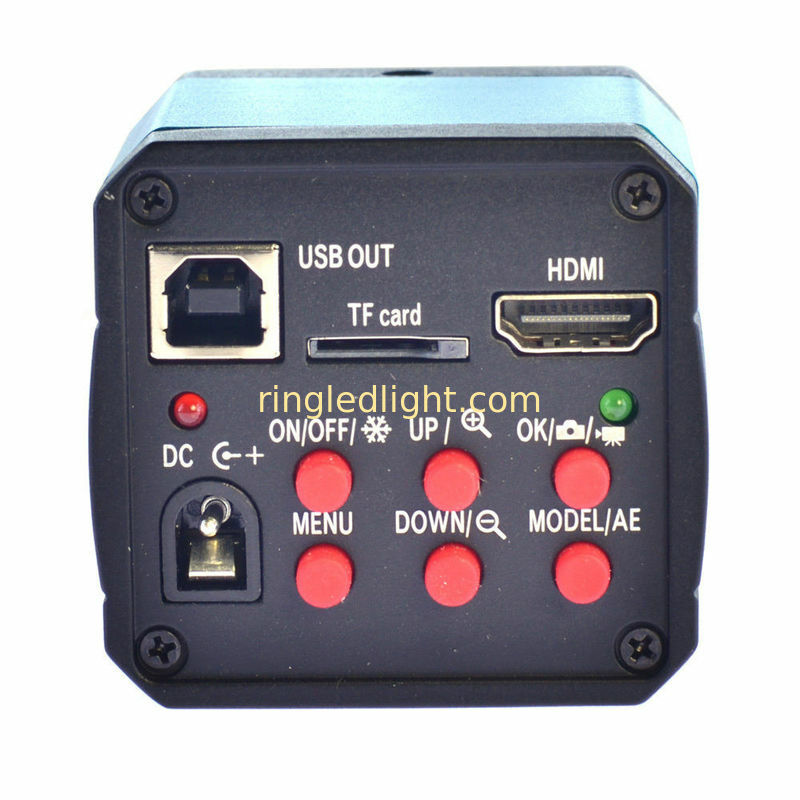 4, this product provides HDMI HD video output interface, the output size is 1080p 60Hz. 7, this product provides free drive 1080P 30 frames / sec HD USB video output. 8, this product supports one button image freeze / thaw function. Please click on/off button to achieve the function of freezing and thawing. 9, the product provides the line function, the cross line 4, the vertical line 4, supports the line optional and the movement, and shows the line color setting and the thickness can be adjusted, simultaneously provides the center cross cursor display. 4, DC interface (Note: DC 12V).